DECORATE YOUR HOME: Use any colors individually or use your favorite color mixes to celebrate patriotic holidays, schools, sports teams & more. SOLAR CHARGING BATTERY: Sun charges the solar batter by day and automatically turns on at dusk and off at dawn. As long as there is sun for the battery to charge the light will shine all through the night. 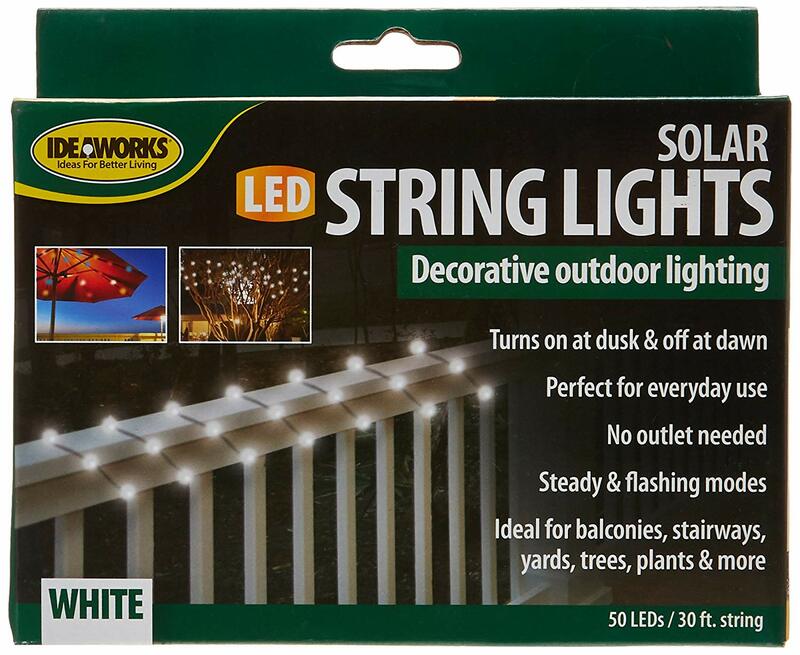 50 LED LIGHTS: These bright LED’s are positioned along a 25ft cord which will bring light to your yard throughout the whole year! Made with 50 decorative LED lights with 25ft. cord.. Sun charges lights by day and they automatically turn ON at night. Decorate your balcony, stairway, yard, trees & plants all year long.